Here are a few links to sites, exhibitions and objects that grabbed our attention over the past week or so. 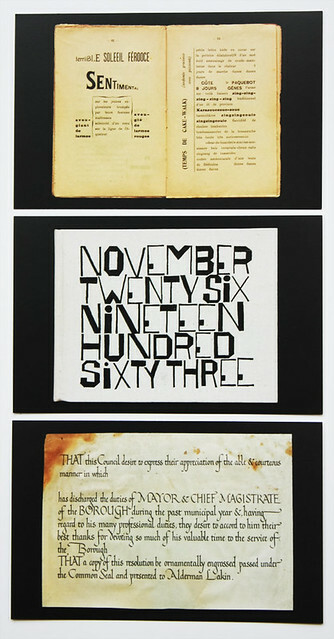 Postcards featuring Filippo Marinetti’s Les Mots en Liberté Futuristes from the ‘Edizioni Futuriste di Poesia’, Milan, 1919; the cover of Ben Shahn’s November Twenty Six Nineteen Sixty Three designed by Wendell Berry, New York, 1964; and a draft certificate on vellum by Edward Johnston ca. 1920. Top: Ronan Guillou, Making Plans. A selection of picture postcards from the Letterform Archive arrived at Eye’s Shoreditch office featuring typographic works by A. M. Cassandre, Paul Renner, Edward Johnston and Piet Zwart, among others. The archive is a rich source of digitised print artefacts. Ronan Guillou, Checky, from his ‘non-map’ Las Vegas. Ronan Guillou, Las Vegas, published by Poetry Wanted, €16. 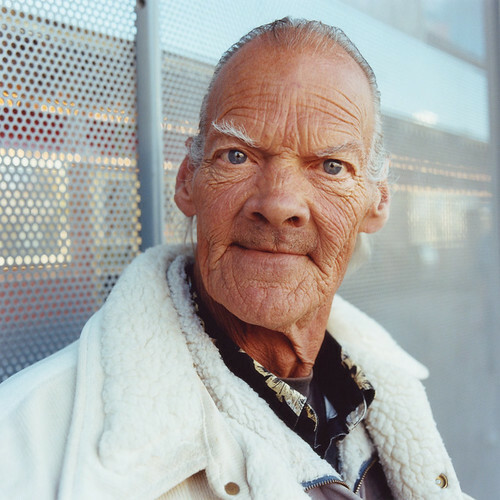 Las Vegas is French photographer Ronan Guillou’s portrayal of the city from the outskirts of the ‘sunset strip’. Guillou filled a hotel mini-bar with rolls of film and captured the atmosphere and oddity of the city through images of public art, a knock-off designer handbag, images of the elderly and obese, desolation, the desert and a feather-clad bride. As an alternative view of Las Vegas it is as intriguing as Texas, by French art director / photographer Rémi Noël (see ‘Noted #53’ on the Eye blog), the first non-map in the series published by Poetry Wanted. More details from Poetry Wanted, thisisnotamap.com. 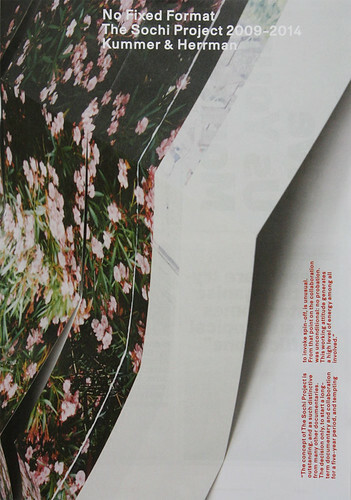 Spread from No Fixed Format: The Sochi Project 2009-2014 featuring spreads from the Sketchbook Series, started in 2011. Safety First (right) is a series of photographs taken in Grozny, the Chechen capital, and questions the difference between a false sense of security and actual security. No Fixed Format (€9.50), designed by Kummer & Herrman, Jeroen Kummer and Arthur Herrman. 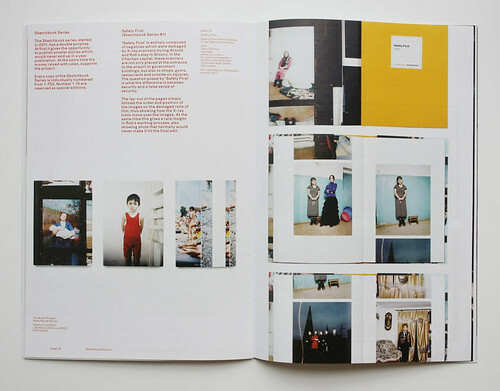 No Fixed Format is a catalogue designed by Kummer & Herrman documenting The Sochi Project 2009-2014, a series of publications, sketchbooks and exhibitions by photographer Rob Hornstra and journalist Arnold Van Bruggen. The crowdfunded project included the publication Sanatorium about the famed institution that sat along Sochi’s Black Sea coast before being converted into luxury flats for the Sochi Winter Olympics. 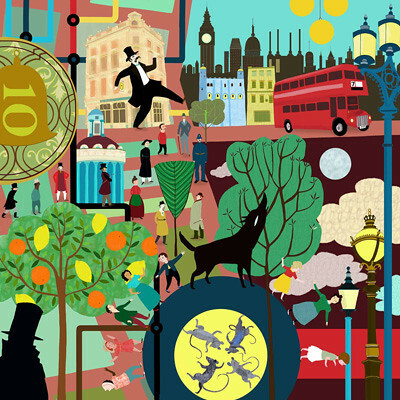 ‘The Serco Prize for Illustration – London Stories’ exhibition opens at the London Transport Museum for a special Valentine’s Day Late. The event will include animated short films, illustration workshops and storytellers as well as themed cocktails topped with a powdered chocolate Roundel. The exhibition continues until 6 April 2014. Canadian designer-illustrator Marian Bantjes produces annual Valentine’s Day cards that are sent out to certain graphic designers, art directors, editors and writers. They are tactile, thoughtful and beautifully designed. This year’s edition comes with a note reading, ‘This letter has never been opened. If you open it, you will be the first to read what was written 57 years ago. 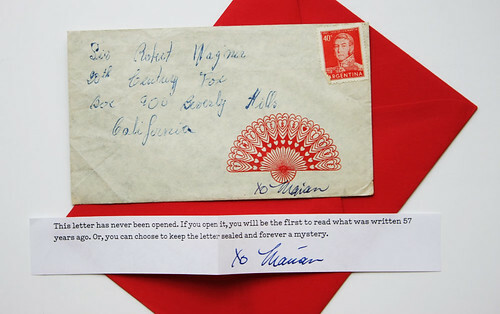 Or, you can choose to keep the letter sealed and forever a mystery.’ Our letter is from Señora R. Blanca Suárez from Argentina and is addressed to the American actor Robert Wagner – its contents will remain a secret. 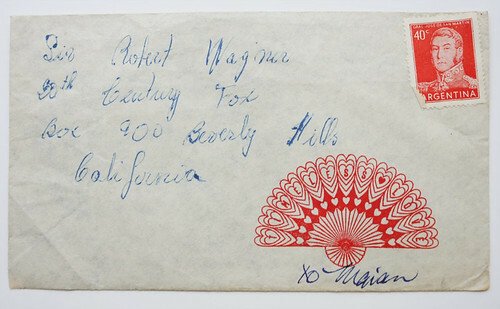 The letters are a collection of fan mail addressed to Robert Wagner. The 250 letters were acquired by Bantjes in 2013, only 30 of which were unopened.